Prior to the launch of the flashy new Ghanaian record label, Zylofon Media, very few people were familiar with the name Willi Roi. 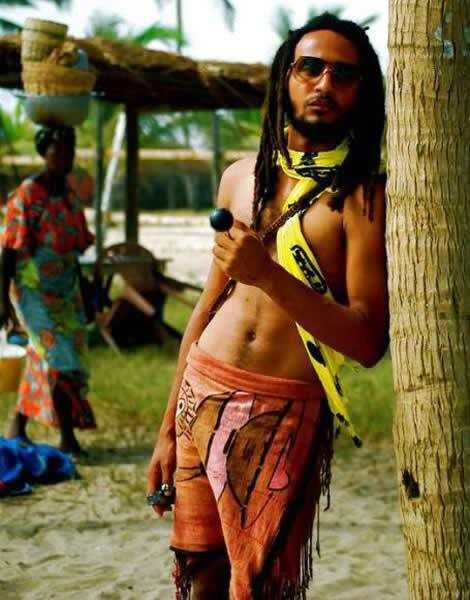 Even though he describes himself as a singer/songwriter/multi-instrumentalist/record producer, his music hasn’t made that much of an impact on the Ghanaian music scene. One would be tempted to refer to him as an almost veteran musician but only because he is rich in years. As to what else he is rich in, we are yet to find out because thus far decorum and dignity are very far from the list. Lately, with the advent of Zylofon Media and their radio station, Willi Roi has become louder than his size and keeps spewing ignorance just because he is backed by “Zylofon dollars”, as he calls it. Ever since he was made the head of Artiste Management at Zylofon Media, the nearly-veteran producer has been at his opinionated best even though most of his opinions leave much to be desired. 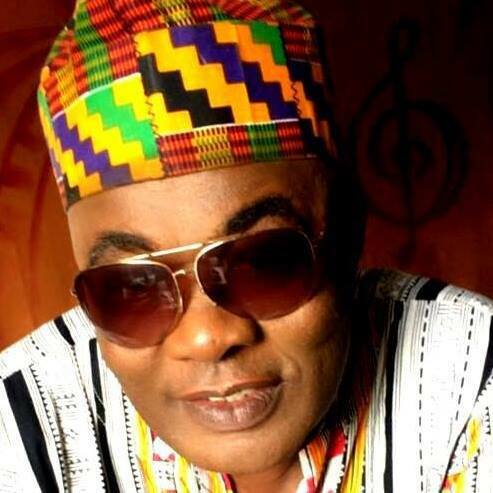 Willi Roi is in charge of discovering talents for the Company, a role he started playing with the launching of the Ghana Arts Club, another Zylofon Media initiative, which is a grouping of talented individuals who are under the tutelage of the likes of the producer and others such as Eddie Nettey, a movie director, and Joshua, a fashionista. You would think all these responsibilities means he has the attributes of a leader. But apparently, he only goes where his stomach leads him and has proven that his loyalty can be bought with as paltry an amount as GHS1000. No kidding. In a Facebook post last night Uncle Willi boldly confessed that Shatta Wale gave him GHS1000 and he worships him till date and that the Zylofon CEO has given him more than that so he will gladly die for him. In his words, “SHATTA GAVE ME 1000 AND AM STILL WORSHIPPING HIM. NAM1 GAVE ME A LOT MORE SO I WILL DIE FOR HIM NOT LIKE OTHERS”. One would be tempted to believe the nearly-veteran musician’s account was hacked and he didn’t actually sell himself so cheap, but from the way he goes about, there’s not much to be expected from him. It is such a shame people like him are in charge at Zylofon, because Ghanaians expected much from them. But the rate at which things are falling apart due to bad leadership and stomach decisions, we can only hope and pray, as Ghanaians are wont to do. 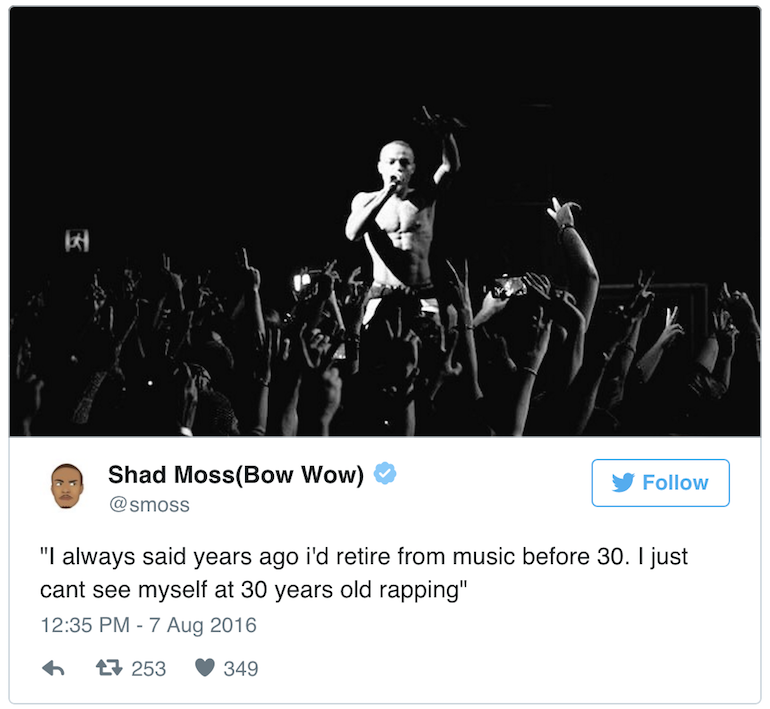 Hip-Hop Artist Bow Wow Announces Retirement As He Can’t See Himself Rapping Aged 30–Social Media Folks Say His Career Retired Him Long Ago So What’s He Talking About?